Put simply, “The Cloud” or “Cloud Computing” is the crux of the internet. Using resources enabled via the internet, which are actually running in a remote data centre, 24/7, monitored round the clock by a team of professionals on hardware your business could most likely never afford. For this reason, The Cloud is the great enabler for Small Business around the World. The Cloud provides access to systems and services at a fraction of the cost of purchasing software in the traditional sense. This is an economy of scale of course, and you will be sharing resources with thousands of other users at any one time. The cloud is also often referred to as “SaaS”, or Software as a Service. It is the enablement of access to or use of a platform or software services, as a service. In most models, the access to the service is “rented” or paid for on a subscription service rather than purchased outright in the older model of purchasing and owning software. This provides access to powerful systems and software, connectivity and communications, that previously, a business would have had to invest large sums of money to run their own VPN, or Virtual Private Network. There are two types of Cloud, Public and Private, as detailed in a previous article. Essentially a Public Cloud is the most common and chances are you are already using this service. Think Gmail, Hotmail, Facebook, Internet Banking even travel bookings. These are all forms of Public Cloud. Private Cloud on the other hand is where a business may have specific requirements from their Cloud provider, hence rent space to load up or provide access to, specific software for their business. Hybrid Cloud is when a business uses parts of both Public and Private Cloud. 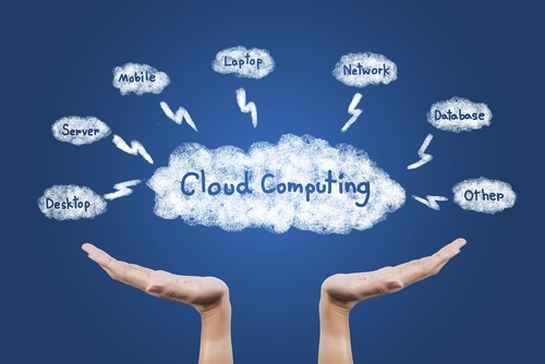 Here are some reasons Small Business should be seriously considering The Cloud. By making use of Cloud Services, a business can save substantially on Capex (Capital Expenditure), and invest in developing sales programs or staff training. Essentially why would a small business make such a large investment in hardware that will simply age, cost a fortune to maintain, and eventually only have to be replaced in some years anyway? Cloud Systems are often run in Class 1 Data Centres on the very latest hardware and software centres, with professional installation and maintenance; plus access to fibre based communications platforms and direct access to the internet backbone. What this means for the Small Business user, is fast and instant access on any device they are carrying. Whether the business owner wants to provide staff with laptops, netbooks or iPads, in many cases, Cloud Systems will be available as an “app” on all of these devices and due to this, the business and its staff are now empowered to travel and not be bound by the office walls. What happens in a Small Business when the Server goes down? Everyone downs pens and stares at each other. This is not only counter productive but also costly to the Business Owner or Manager, who will usually now have to call the IT Services company, wait for a Technician to arrive, then foot the bill once they leave. Usually the only explanation is, “there was a hardware failure”, or ” your server has a virus and will be down for two days”. How would you cope in that situation? Cloud Providers run many failsafe hardware layers and most provide a SLA (Service Level Agreement) of 99% uptime or better. This means more access more of the time when you and your staff are out on the road. 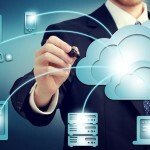 Small Businesses across the Globe are accessing The Cloud at an alarming rate. Vendors are increasing capacity all the time and investment brokers are clammering to provide enough funding to build The Cloud. With providers such as Microsoft, Google, IBM, Cisco, Reckon and more behind this movement, SMB’s can relax and focus on their core business, and leave the IT headaches to someone else to worry about. Awesome blog post! I love they way you incorporated 4 reasons why small businesses should be considering The Cloud. Great use of your IT consulting superpower!